The idea behind this creative venture formed when I saw the flower crown trend. I was talking with a friend and venting about how I was so ready to see flower crowns go and she said, "oh, I love boho." I thought, I love boho too, but that is a style, flower crowns are a trend. That one thought brought about a week-long thought train on the difference between trends and styles. Timeless and trendy, could you have both? Yes, I think you can, if you find the timeless elements inside of the trends. Which at their core, we call style. What's more important is finding the style that fits you? Often times people adopt a trend that may not match their lifestyle at all, but for the sake of being on trend, they go with. So, my next question was, "how do I make that more than just an idea? How can I show that this concept is possible?" The idea hit me! 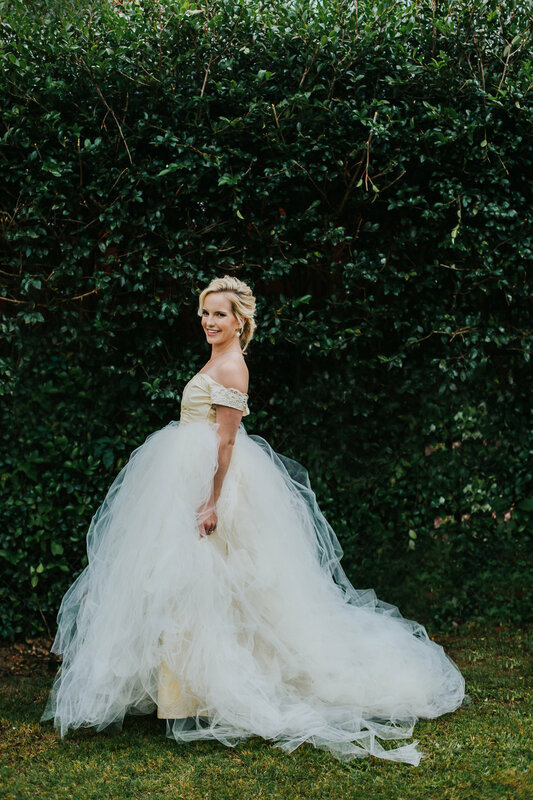 I could take gown inspiration from three different eras and design one wedding that would fit all three gowns, complete with paper suite and custom drinks tailored to each era. I chose the 1850s, 1920s, and 2010s as my inspiration periods. 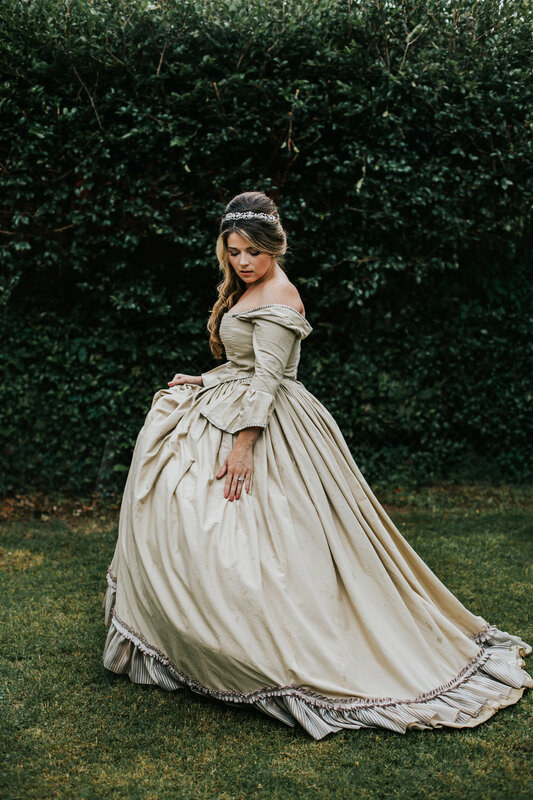 I created a gown that is close to period correct for the 1850s but has some modern touches thrown in. 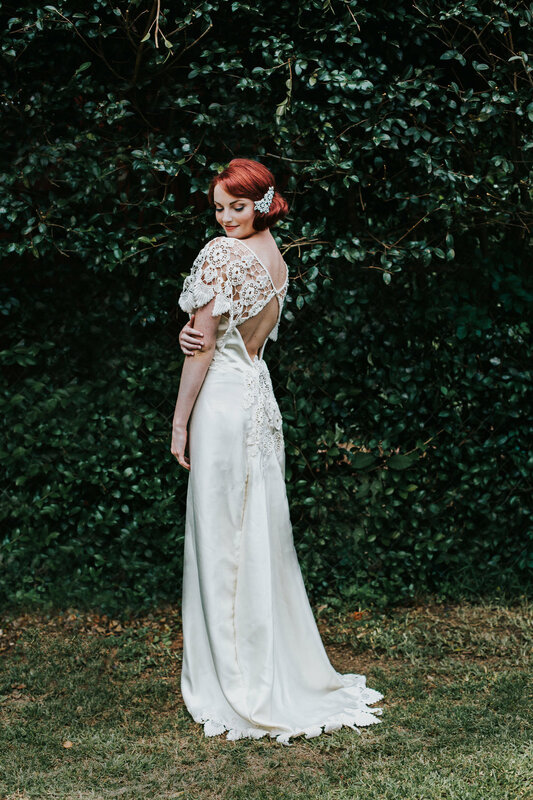 I created a 1920s inspired wedding gown from repurposed materials. The only new materials used in the dress are the zipper and thread. A major part of my designs are reclaimed elements that help reduce fashion waste. My modern day design is a gorgeous candle light silk dupioni gown with a tulle overlay and train. This dress is also about 80% recycled elements. After I had the dress designs, then came the hard part, assembling a team. I knew that I wanted to use local small businesses owned by other creative-minded women. Because more than just this shoot, I really wanted to start a movement. A movement for people to live timeless, not trendy. To be proud of what makes up who they are and to carry that through to their wedding. What better way to start a strong, female empowered movement than strong empowered females? As this was my first shoot, I needed a stylist and photoshoot director that would guide me and keep me on track. 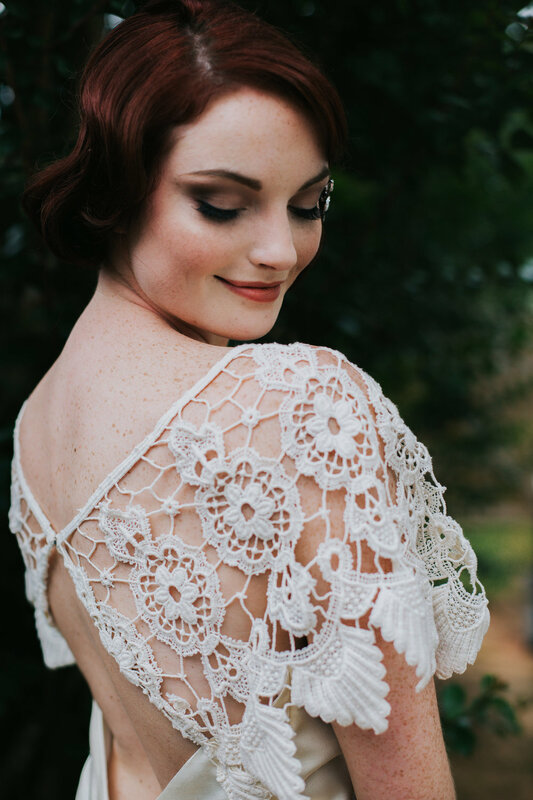 In steps Sarah Levey, stylist and owner of The Southern Atelier in Fairhope, Alabama. We clicked immediately and she really bought into my vision. She brought in with her Leslie Bradley, an interior designer, as a co-stylist focusing on set design. Then came Caitlen Babb, photographer and owner of Caitlen Babb Photography. She brought her sweet, but concise structure to the project. 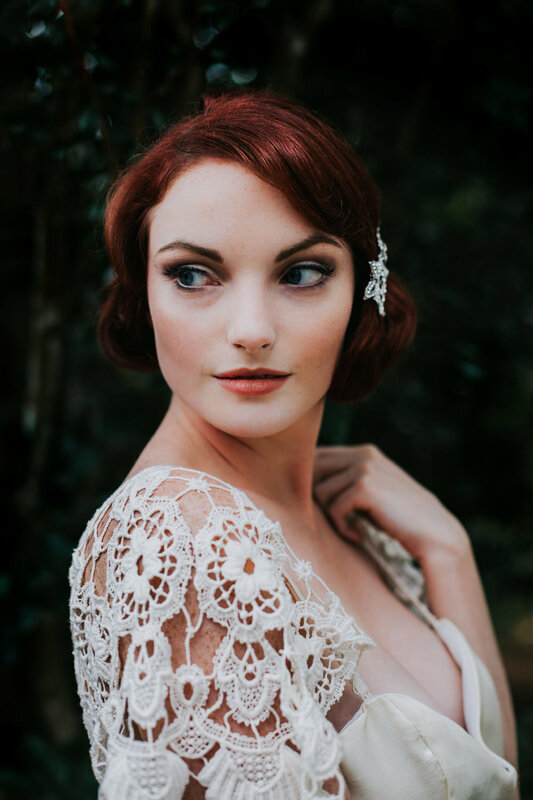 Her eye for capturing the details led to the beautiful pictures we produced. 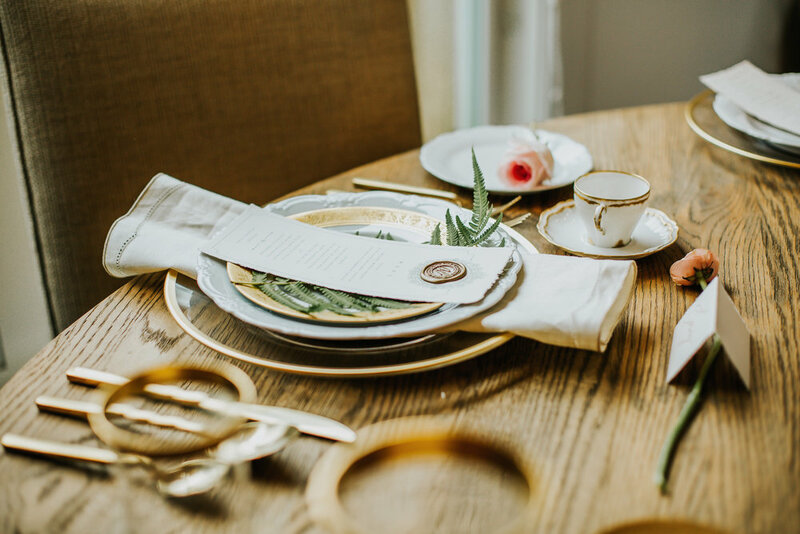 After that came floral and props provided by Jubilee Events and Design, owned by Maranda Sigler-Godwin. She has the eye for flowers and expertly provided the small touches we needed to tie everything together. I believe I gave Diane Holdsambeck, owner of My Lady Dye, the biggest challenge in creating a paper suite that would compliment all three time periods. 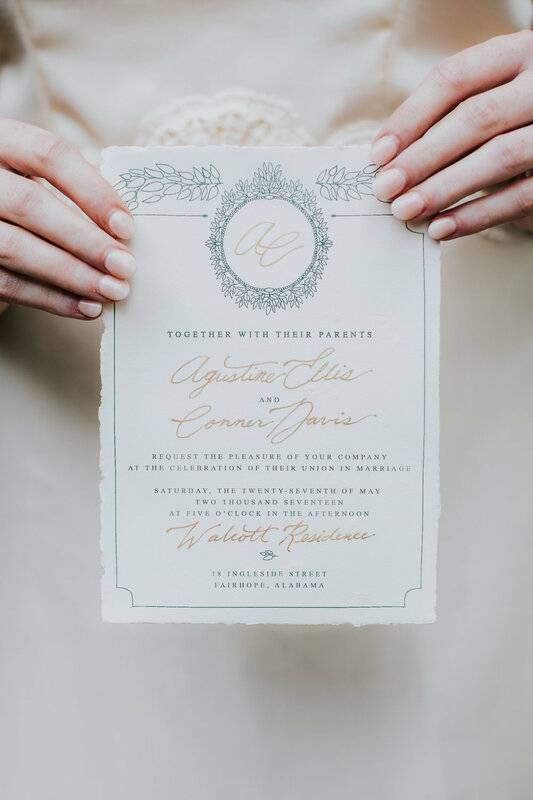 She certainly delivered with her elegant hand lettered, hand torn paper suite. 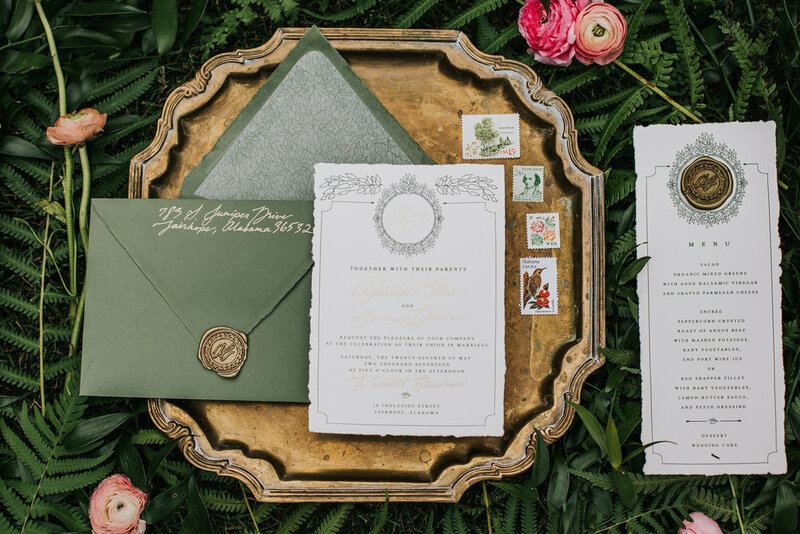 She went above and beyond with custom gold wax seals and vintage postage stamps. Her attention to detail really shines through in her work. 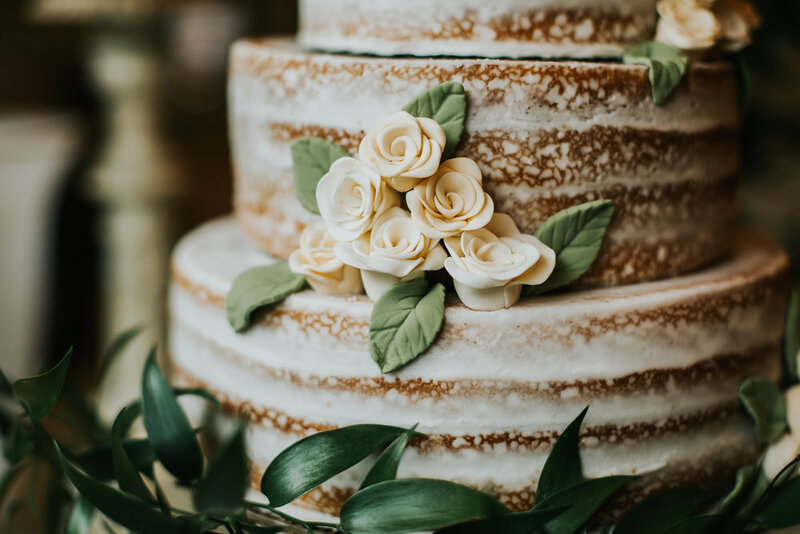 After that came Shannon Munday, an extremely talented baker. 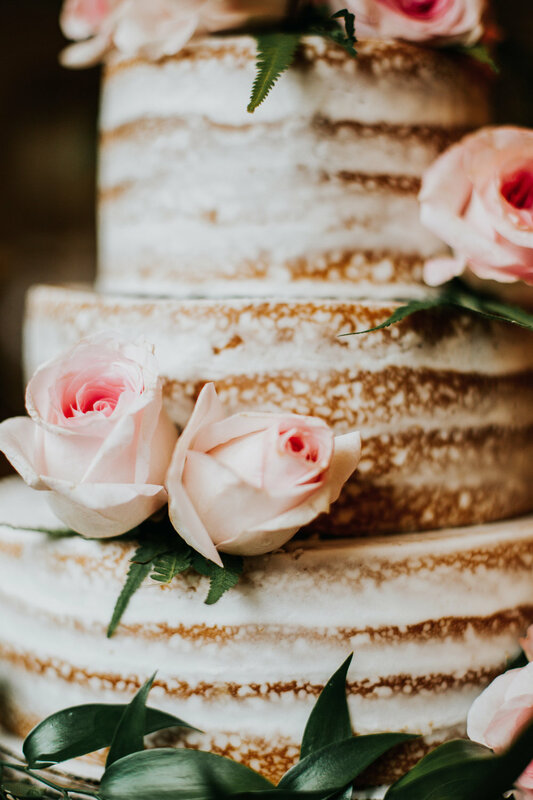 She created a beautiful three tiered naked cake that tasted just as amazing as it looked. Usually cakes either look good or taste good, but rarely do you find a cake that does both. This cake though, was the best cake I have ever had. I was amazed. Lauren Elizabeth, owner of Mobile Mixology, created seven amazing drinks for the shoot. 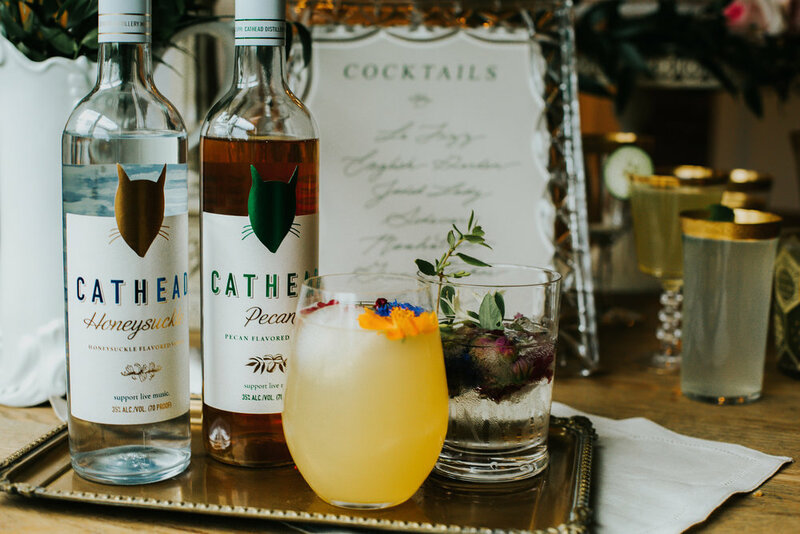 The drinks were beautiful, coordinated with the overall theme and color scheme, and were the extra touch to put any event over the top. She tailored the drink menu to each era. 1. Le Fizz- it's a vodka drink that's clear and fizzy (sparkly). Vodka provided by Cathead Vodka, a Mississippi based Vodka company. They provided a bottle of their honeysuckle vodka as well as their pecan vodka, true southern taste. 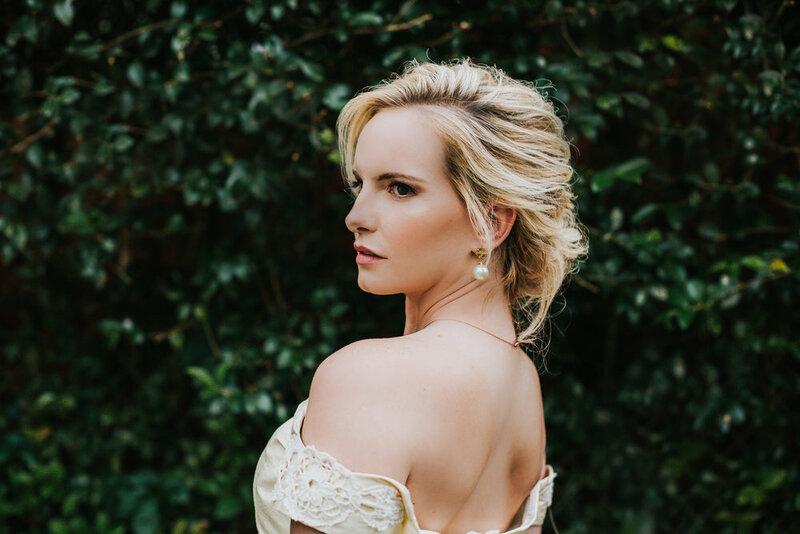 Bliss Bridal boutique, owned by Katie Ward and located in Fairhope, Alabama supplied us with beautiful hair jewelry while the rest of the jewelry worn was from private collections. Finding hair and makeup took some time but at last Sarah found the perfect women to round out our team. Chaney Smith worked her magic with hair, while Ashley West used her airbrush makeup skills to transform our models. Our models were Katy Harrington, Sarah Levey, and myself. It was magical watching these women work. I felt so honored to be able to bring such incredible talent together to create what is hopefully the start of a movement. They showed up and were masters of their respective art. 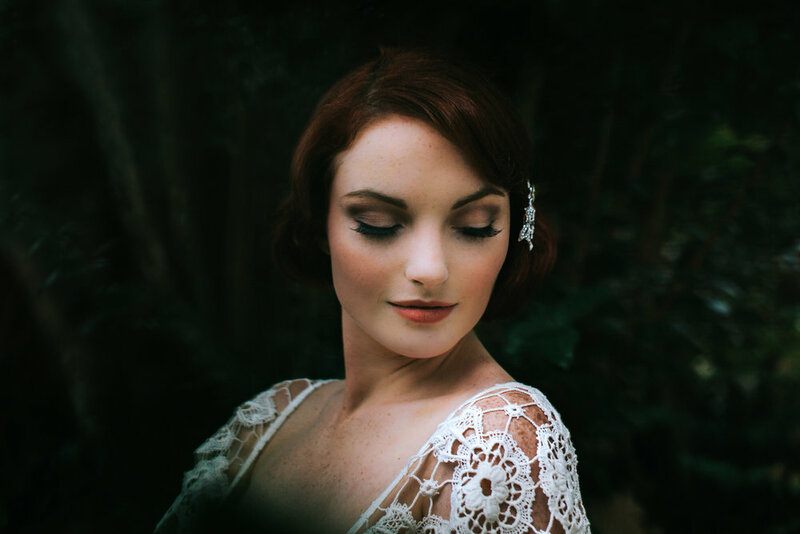 We set out to show how one can take any time period and make the look timeless. Each look is easily recognized for its era but could also be worn today. Taking the trends of the past and extracting the timeless style, carrying it through with each look. The goal of the shoot was to show that it is possible to be timeless and trendy, one just has to be true to one's own style. Because trends come and go, but style lasts forever. I would like to thank all of the vendors for contributing to this shoot! I could not have done it without yall!